Can SCMP reporter keep up with Victoria Campos – the fittest person in Hong Kong and second best female CrossFit athlete in all of Asia? 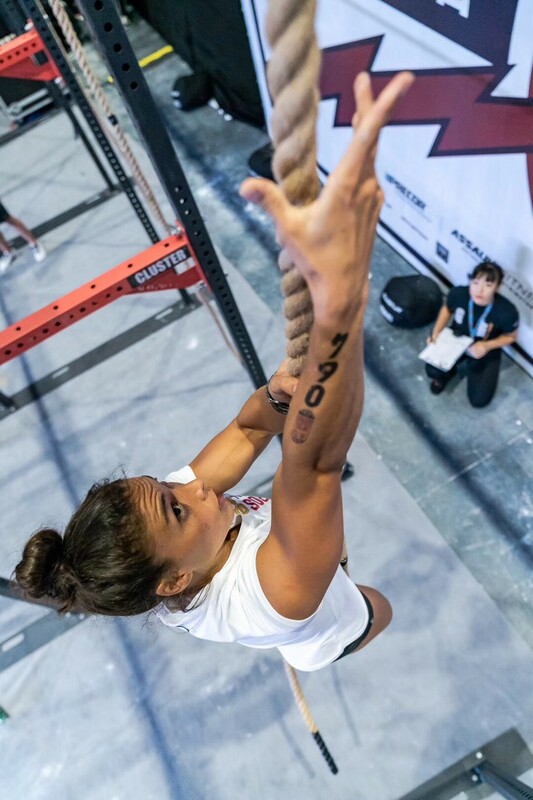 Victoria Campos is the fittest person in Hong Kong, and she has the requisite document to prove it. The annual international winner of the men’s and women’s CrossFit Games is deemed the fittest person on earth by organisers – but Campos was given a plaque from CrossFit Inc., dated March 28, noting she is the “fittest person in Hong Kong”. Campos is the second highest ranked female CrossFit athlete in all of Asia, and recently finished 21st at the 2018 CrossFit Pacific Regionals, held in July in Sydney, Australia. Originally from Brazil, the 26-year-old is also the only female coach at the CrossFit Asphodel gym in Kennedy Town. There’s also a chance Campos, who stands 161 centimetres and weighs 134 pounds (60 kilograms), might become a lot more famous next year as she gears up for another round of competitions which starts in February with the CrossFit Open, an online challenge where competitors submit videos. A change to the qualification process means Campos now has a serious chance of reaching the CrossFit Games, which are held every August in the United States. In the past, qualifying out of Hong Kong would pitch her against the best at the regionals in Australia, but now being the best here would get her a golden ticket. Cris O’Brien, owner of and coach at CrossFit Asphodel, said not only is the Brazilian a beast of an athlete, she is also down to earth. Campos likes to round out her training with jiu-jitsu, which she said helps her “get out of the box” when it comes to working out. She noted the whole lifestyle falls into a pyramid, with nutrition as the foundation. She noted sometimes when she is training hard for a competition she has to take in an insurmountable amount of food to keep up with the energy she is expending. Campos said meditation also helps her relax and prepare for the day’s plan and workouts. And while she may be a CrossFit machine, she is still human and has an Achilles' heel when it comes to food.